Samsung’s long-rumoured metal phone has finally been announced! 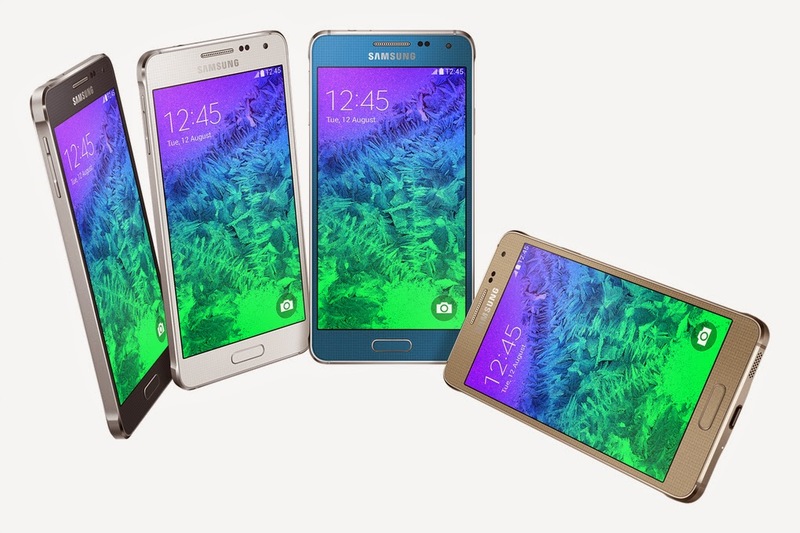 Just recently, the Korean tech giant has showed off its brand new Galaxy Alpha. It features a metal-constructed body, which “shows off a new design approach for the company”. The Alpha is Samsung's first major metal phone. Previous Galaxy phones and tablets were all encased in a plastic body with plastic-metal accents. Samsung has not announced any prices for the phone, nor where it will be sold. However in the United Kingdom, it will go on sale in early September of this year. The Galaxy Alpha offers a 4.7-inch Super AMOLED display at a resolution of 1280 x 720 pixels. This comes to a total of 317 ppi, which is significantly below than the S5’s 441 ppi. In comparison, the Retina Display on the iPhone 5S comes in at 326 ppi. The phone weighs 115 grams and it is 132mm long and 66mm wide and only 6.7mm thick. Both smaller and lighter than the Galaxy S5. The rear camera can shoot 4K video and has a 12-megapixel sensor. Also, the phone is not water resistant. Both are a step down from the bigger S5. The obvious focus of the Galaxy Alpha is design, design, design. The phone has a metal frame with chamfered edges and flat sides, with precision drilled speaker grilles at the bottom. This doesn’t sound familiar, does it? The dimpled back panel is still expected to be made of the soft plastic found on the Galaxy S5. Yes, the cover and the battery is still removable. The Alpha will ship with Android 4.4.4 KitKat, with TouchWiz of course. It will also incorporate Samsung’s fingerprint sensor that is also found on the S5. The heart-rate sensor is also included on the back and can be used with the S Health app. Overall, the Galaxy Alpha did not meet all expectations. It is basically a better-looking, downgraded version of the S5. Those hoping to get a beast of a phone will have to look else where in the meantime. Still, it is nice to see Samsung moving away from their all plastic phones and maybe more powerful metal phones from Samsung are not too far away.